Warchracing presents a summary of all mainland metropolitan race meetings every Wednesday and Saturday after final scratchings have been advised. They are usually available after 9 am Eastern Standard Time. The service was several years in the testing stage and has been operational in excess of four years to a select clientele. This service is not only our business it is also our hobby and our passion. At a monthly fee of $40 payable by credit card or at $12 per individual meeting there is no better value ratings service in the country. The Warchracing team has combined years of Form Analysis experience in the thoroughbred horse racing in Australia and produces outstanding results each and every week. Through our experience we have developed an Australian horse racing analysis platform that continues to outperform all known services with the results - a testimony to the hard work and dedication of our team. Our business continues to grow with more and more customers reaping the benefits of a winning formula. We are now offering this service to punters! There are many factors that have influenced the results of races and we have identified those factors which best assess a horse's chances of winning racing today. Our dedication to continuous improvement has produced ratings which consistently produce great results in all states and under all conditions. We understand such claims are made by many providers but we back up our claims with statistics that can be readily checked on a week to week basis. If you have a history of losing or just want to improve your return from racing we will show you how to be successful. There are many ways to win money on horses but it is all about getting value from your investments and being consistent. Straight out betting with significant stakes can bring success but the odds are you will need to select 2 to 3 winners from each race meeting to win consistently and if some of your selections are at less than each way odds you will need more winners. Playing First Fours and Trifectas also reduces your strike rate although some of the dividends can be lucrative especially during the spring carnival where big fields and even races provide good results. We have found exactas in selected races can produce winning results. Our horse racing Australia track record shows the best way to win, and win consistently is to reduce the number of bets you have each week and combine them in all up betting. Our specials which will appear in bold lettering on our rating page give you the best chance of being successful even if the odds are less than an each way quote. You can add your own specials to these selections if you are confident about a horse’s chances. If our selections are at better than each way odds combine our specials into two races and invest to your budget. If 1 or 2 selections are at a shorter quote extend the all up bet to 3 selections but no more. If there is a standout special on the card bank that selection with several all up bets and you will find you will start enjoying the success we have experienced. It is likely that using this system you may only have three bets on a Saturday but your chances of winning will improve dramatically. Remember our strike rate of winners is only 1 in 4 and it is one of the best strike rates around Australia over a significant period of time. You cannot back the winner of every race so to put it in perspective you need a strike rate of over 50% to be successful, That can only come from our specials and "all up betting." 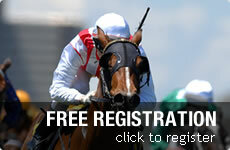 Are you looking to invest in horse racing today, be it a small share or 100% ownership? Through our connection with all major stables in WA and on the East Coast opportunities arise regularly to race horses picked out by our select trainers. We can introduce you to the trainer or alternatively just let us know of your interest and when the opportunity arises we will let you know the details. All you need to do is contact us and inform us of your budget and we will do the rest.